Smoke free workplace of professional seamstress. All work guaranteed. 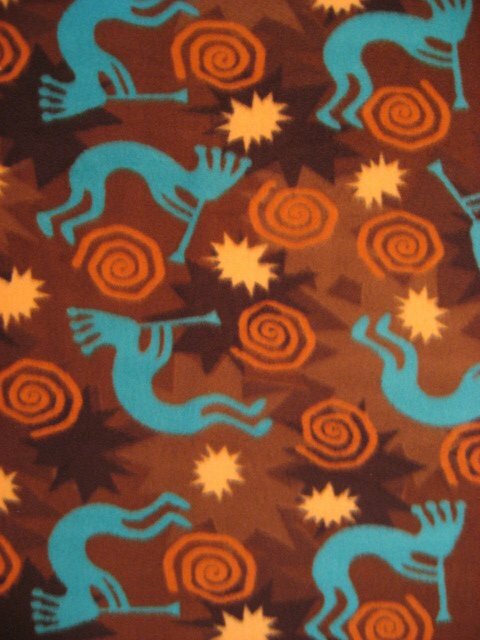 Depicts the Kokopelli and his flute. Many more repeated pictures on this overall print blanket. Measures approximately 60" X 72" long. Single thickness. Great size for a child or adult to cuddle in. So soft and comfy! 100% polyester, machine wash-cool, tumble dry-low, remove promptly.